Technician Spotlight: Meet Phone Repair Tech Elsa M.
At Puls, we have over 5,000 service technicians with all different backgrounds, walks of life, specializations and experiences throughout most major cities nationwide. Get to know our California based phone repair technician Elsa in this Q&A segment. Technician Spotlight: Meet Phone Repair Tech Alejandra D.
At Puls, we have service technicians with all different backgrounds, walks of life, specializations and experiences throughout most major cities nationwide. Want to get to know our Puls technicians? 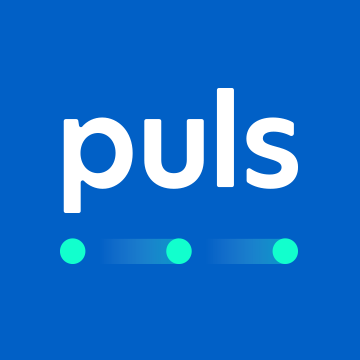 Read real stories, insights and fun facts from our team of experts to find out what it's like to be part of the Puls team, how they got started, and more. Technician Spotlight: Meet Phone Repair Tech Seily D.
At Puls, we have over 5,000 service technicians with all different backgrounds, walks of life, specializations and experiences throughout most major cities nationwide. Get to know our Atlanta based phone repair technician Seily in this Q&A segment. At Puls, we have hundreds of talented technicians with all different backgrounds, walks of life, specializations and experiences, throughout most major cities nationwide. To help The Beat readers get to know our one-of-a-kind technicians, we've introduced Technician Spotlight segments, which are brief Q&A interviews to learn all about our beloved techs. Read real stories, insights and fun facts from our team of experts to find out what it's like to be a Puls technician, how they got started, crazy repair and installation stories, and much more. As is the case with many smartphone features, Apple’s voice assistant was there first. Apple introduced Siri in late 2011, alongside the release of the iPhone 4s - almost a full year before the release of Google Now, Google Assistant's predecessor. Siri has been a part of our lives ever since, making us all feel just a tiny bit closer to that sci-fi future we all envisioned for ourselves. It’s one of those things you feel right away: your iPhone overheating. We hold our iPhones in our hands so much that we’ve become very familiar with their “normal” or healthy temperature. Even though that temperature varies based on season and climate, you know when your iPhone is hot. If you fly too close to the sun you can get burned. So while the iPhone X took all the chances, gained all the hype and suffered the criticism that comes with it, Apple simply positioned the iPhone 8 as a great phone. No thrills, no surprises, and less reason for disappointment. That’s why it’s so easy to overlook the fact that the iPhone 8 and iPhone 8 Plus are truly amazing phones.